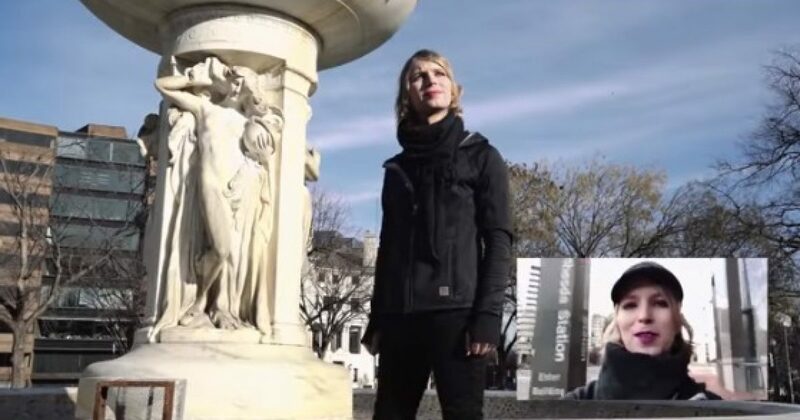 [VIDEO] Former convicted spy and traitor Chelsea Manning is running for elected office. No, Reall, he is! He has just released his first campaign ad. Your reaction will probably fall in the range of: OMG, WHAT DID I JUST WATCH? SICK! The question that arises in my mind is why is he running for office if he feels that way about government? Review the ad and see what you get out of it. Chelsea Manning, the transgender Army private who was convicted of crimes under the Espionage Act for leaking hundreds of thousands of classified documents to WikiLeaks, filed paperwork to run for the U.S. Senate last week. The Manning campaign released its first campaign ad Sunday night. The video is staunchly anti-government and shows many violent clips, including the Charlottesville, Virginia, riot last August and clips of Antifa protesters clashing with police. The video doesn’t bash President Donald Trump or the GOP by name, but Manning instead took aim at all politicians as powerful people who abuse power and need to be stripped of it. The video appears to be more of a call-to-action for support and doesn’t offer any policy proposals that Manning plans to bring to Congress.